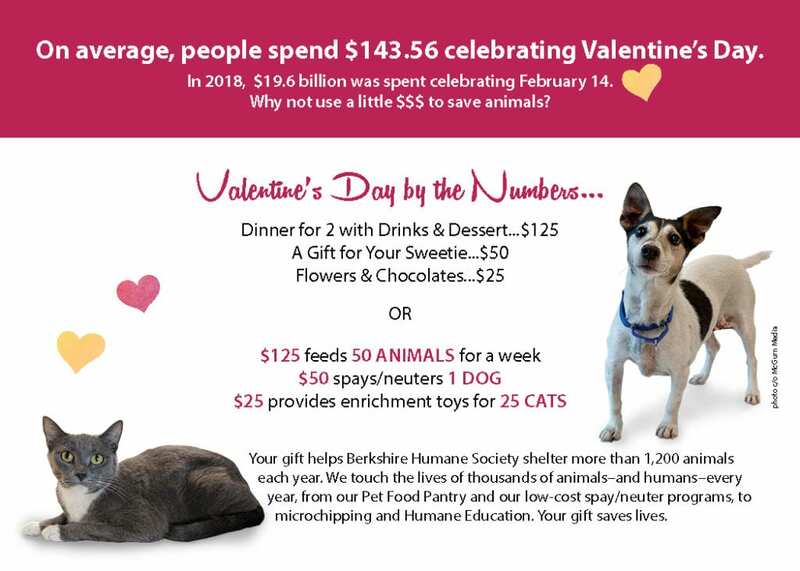 During this month of love, we’re asking you to support Berkshire Humane Society. Give to homeless animals. Stay home & adore your pets. Donate $125 Treat your pup to a romp in the snow or chill at home on the couch with your cat. Donate $75 Enjoy dinner at home, followed by snuggles & treats on the sofa. 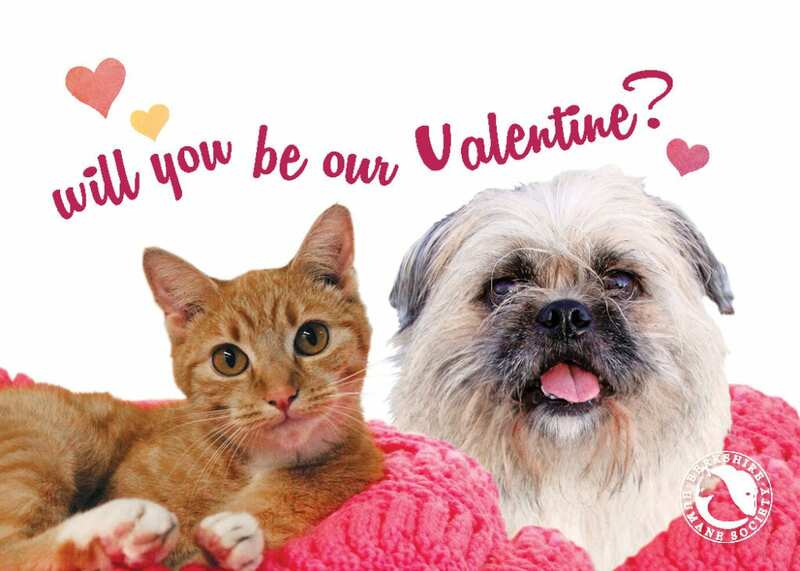 Donate $50 Groom your pet while whispering sweet nothings. Donate $25 (Respectfully) smother your pet with kisses or petting…whichever they prefer! 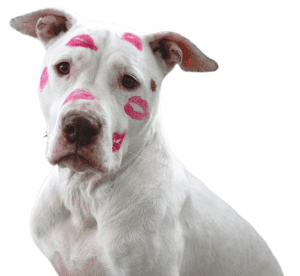 For every $25 donated, we’ll smooch a kennel or condo with a paper kiss! Let’s shower our shelter pets with the love they deserve. Please consider giving by March 1, 2019. Thank you for caring about homeless animals.